Rechargeable SIM with generous packages of 4G/LTE data. If you don’t know if your phone supports these frequencies then simply dial *#06# on your phone and the IMEI will be displayed on the screen. You can then go to imei.info and enter your IMEI to confirm supported LTE bands, or if you prefer just ask us for help. Questions? Contact us though online chat or support@travelmobile.biz. Lycamobile has excellent coverage throughout the U.S. (no coverage in Alaska) and runs on the network of a large U.S. operator. Our plans allow you unlimited calls in the U.S. (local and long-distance), unlimited Internet, unlimited SMS and credits for international calls. You can check Lycamobile coverage by entering the city and state. Once you have used all your high-speed data, the data connection is reduced to 2G. Dial 011 followed by the country code, the area or city code and telephone number. How can I configure my phone for Internet access? Turn your WiFi OFF and make sure the phone is not in Airplane Mode. Go to Settings > Wireless & Networks > Mobile Network > Access Point Name. Press Menu and select New APN. Leave all other fields empty. Press Menu and select Save. 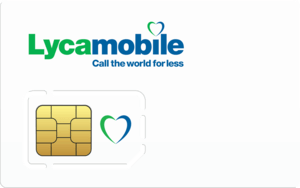 Make sure you select the Lycamobile profile you just created. You must remove the other APN's that are listed on your phone. Select each APN, press the menu button, select Delete APN. Delete all of the APN's until Lycamobile is the only one left. Lycamobile has excellent coverage throughout the United States and runs on one of the largest networks in the U.S.
You can check Lyca coverage by entering the city and state.